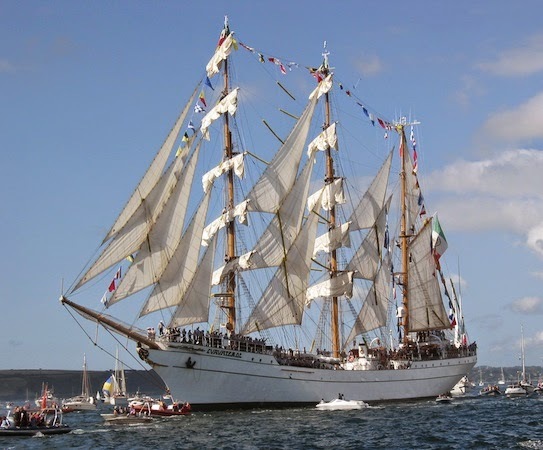 This follows from our first blog detailing self catering holiday accommodation on the Falmouth side of the River Fal, for those looking to watch the parade of sail and start of the Royal Greenwich Tall Ship Regatta Falmouth 2014. Check out the blog here, for more info on the event and alternative accommodation ideas. Here are our top pick of properties to stay in within easy reach of St Mawes & St Anthony's Headland, perfect for watching the awesome display of tall ships leave Falmouth. Brigids Patch, St Mawes, situated at the top of St Mawes, this property enjoys elevated views of the harbour. A few minutes walk from one of the best spots to view the Tall Ships, St Mawes Castle. Pet friendly, plenty of parking, ground floor en-suite double room, perfect for all the family. Sleeps 6 people, from £975.20 for a week from Friday 29th August. Coppers, St Mawes, is also slightly up from the centre of the village, once again giving spectacular views. 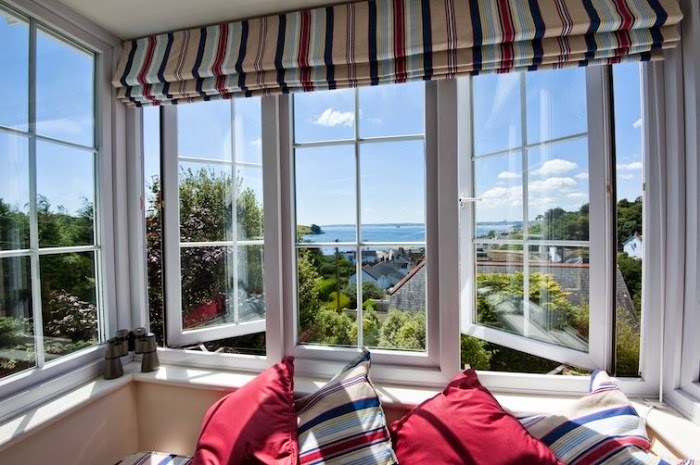 If you're not one for crowds, this is the ideal property for you as you will be able to view the Tall Ships from this gorgeous window seat! Pet friendly, parking, free WiFI. Sleeps 8 people from £1135.20 for a week from Friday 29th August. 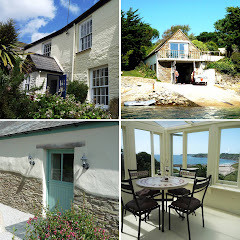 Fisherman's Cottage St Mawes, is another gem of a property with superb views of the bay right from the property. 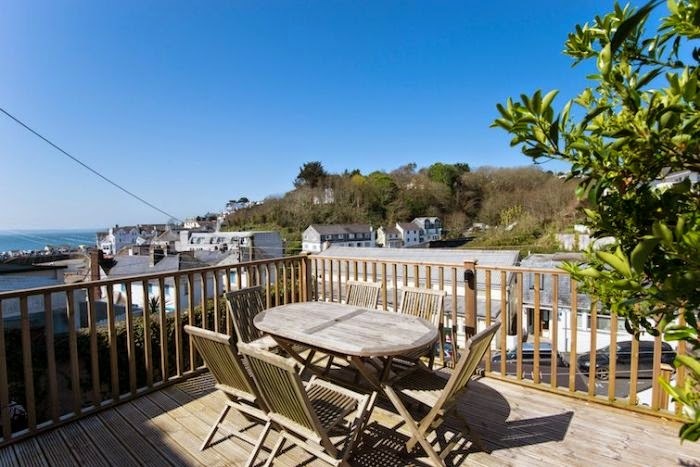 The wonderful deck at the back of the property offers private viewing of the harbour and Falmouth Bay, as well as a perfect spot for alfresco dining! Sleeps 5 people from £663.20 for a week from Friday 29th August. Hillside Cottage, Portscatho, right in the centre of the village seconds from the beach, shop and pub. Lovely cute cottage garden at the back of the property and secluded parking. Perfect family holiday location. Sleeps 5 from £543.20 for a week from Friday 29th August. Merrose Barn, Trewithian, near Portscatho is set in secluded land on the owners property just a few minutes drive from Portscatho. A double and bunk room offer perfect family or couple accommodation. Approximately a 20 minute drive to St Anthony's Head or 10 minutes to St Mawes. Sleeps 4 from £503.20 for a week from Friday 29th August. Harbour Court, Portscatho is a one bed apartment right on the edge of the harbour, yards from the beach, pubs, and village shops. Perfect couples getaway. Pet friendly right on the coast path, 10-15 minutes to St Anthony's Head. Sleeps 2 from £359.20 for a week from Friday 29th August. We have many other properties available either for easy access to view the Tall Ships, or just for a wonderful Cornish summer holiday, visit our website to view what's available www.cornwallscottages.co.uk.